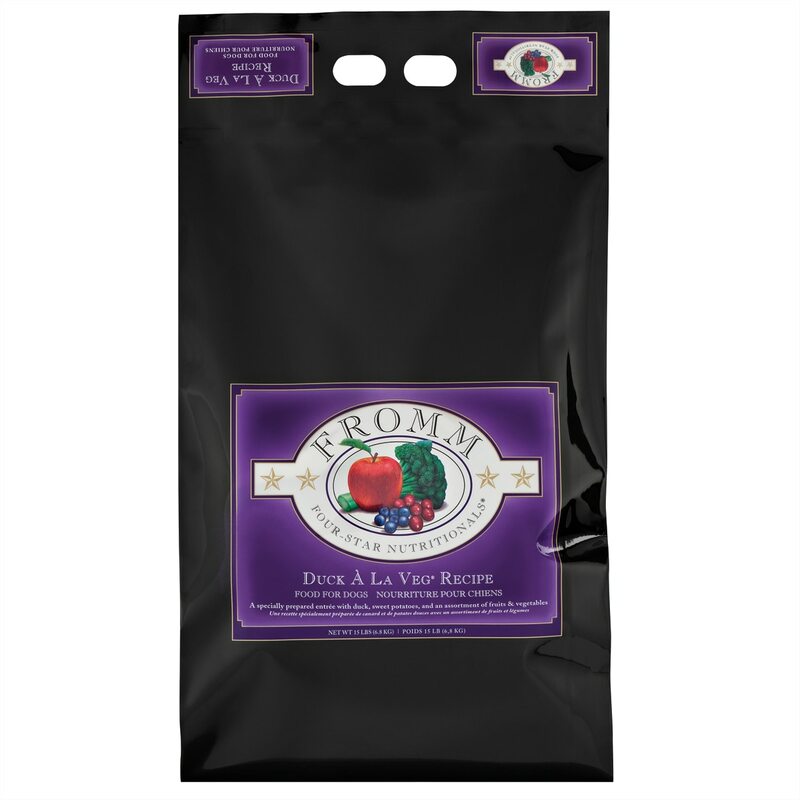 Fromm Four-Star Duck À La Veg® Recipe Food for Dogs is a delicious entrée of duck, sweet potatoes, and an assortment of fruits and vegetables. This distinctive blend is specially prepared to ensure consistency, quality, and superior taste in each and every bowl. Fromm® Four-Star Nutritionals® Duck À La Veg® is rated 5.0 out of 5 by 2. Rated 5 out of 5 by Skydas from Better than prescription My pup has been on Royal Canine Duck and Potato for the past 4 years. She has a bad allergic reaction to something environmental, and the food helps keep her from getting too reactive. Several months ago I started comparing the ingredients of the Royal Canine with other brands. 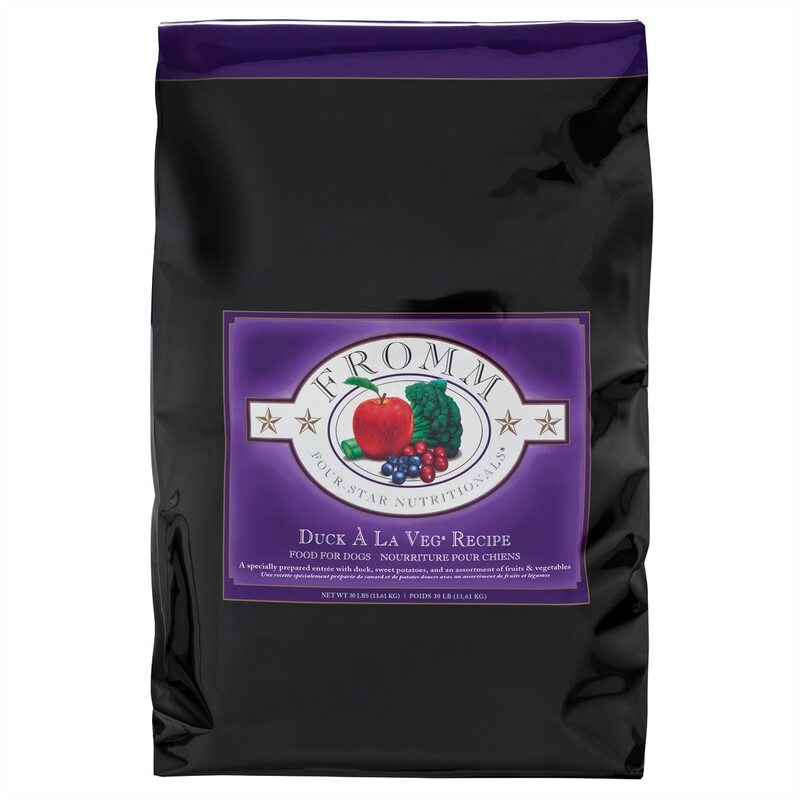 Fromm uses higher quality ingredients and has nearly the same nutrition. If your pup is on a prescription diet make sure you talk to your vet before switching. However, we've had no issues with the Fromm. P.S. the cats live it as well.